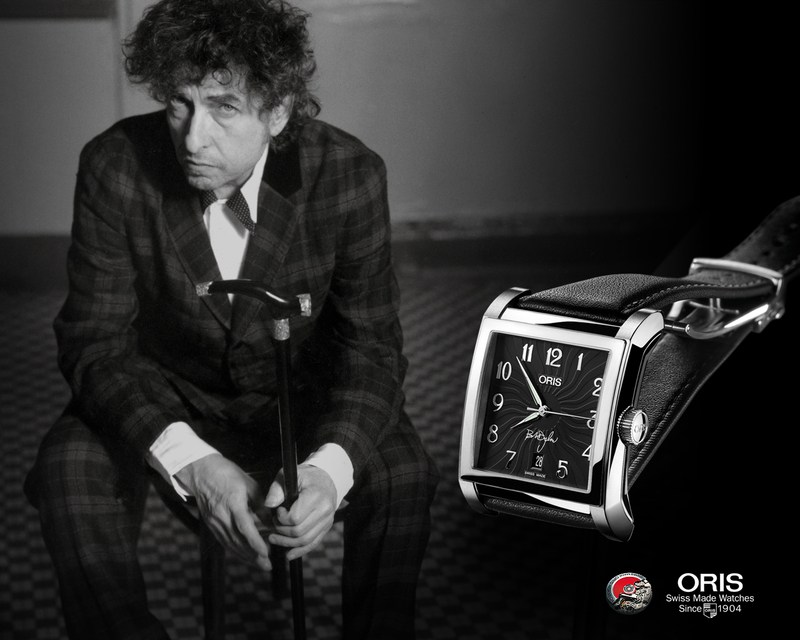 Spark brought Bob Dylan and luxury Swiss watchmaker ORIS together. In one of his greatest hits, Bob Dylan sings that “The Times They Are A-Changin’” but the great man himself remains constant. In the sixties he came to prominence as the unofficial voice of the counterculture and has since become one of the most influential and successful artists of all time. As an international star in the worlds of folk and rock music he sang his way into the hearts of a generation with his distinctive voice and poetic lyrics. He is, quite simply, a multi-talented living legend: singer-songwriter, poet, musician, author and painter. As a tribute to Bob Dylan, ORIS, the Swiss manufacturer that has been creating watches for the last 100 years, created a special edition Rectangular model, limited to just 3,000 pieces worldwide. The stainless steel cased watches carried Bob Dylan’s signature on the finely patterned dial. His portrait was engraved on the case back along with the limited edition number of the watch. A small glass window offered a glimpse of the complex mechanical movement with the famous Oris red rotor. Bob Dylan has experimented in more different fields than any other artist but has always returned to his musical roots. The watch design reflected this in its use of slick modern proportions, which make it stylish rather than fashionable. This exclusive ORIS limited edition came in a presentation box set with a Hohner Marine Band harmonica – the instrument for which Dylan is best known. The ORIS Bob Dylan Limited Edition: an exception to all the rules. Solo and unplugged.